Originally written by Corey Kelly for Askmen.com and published on April 28th, 2016. Click here to read the original post. OK, let's face it: Whether we're surfing a mean wave, squeezing in an afternoon jog or playing a serious tennis match, the importance of maintaining an active lifestyle is a priority. Since the advent of athleisure fashion, what we wear while breaking a sweat matters as much as our fitness routines. Take, for example, the rising popularity of brands like Lululemon and Under Armour. Their elevated status amongst stylish gym-goers speaks volumes. And since we also need equipment to facilitate our active pursuits, we've searched far and wide for the coolest and most effective gear. 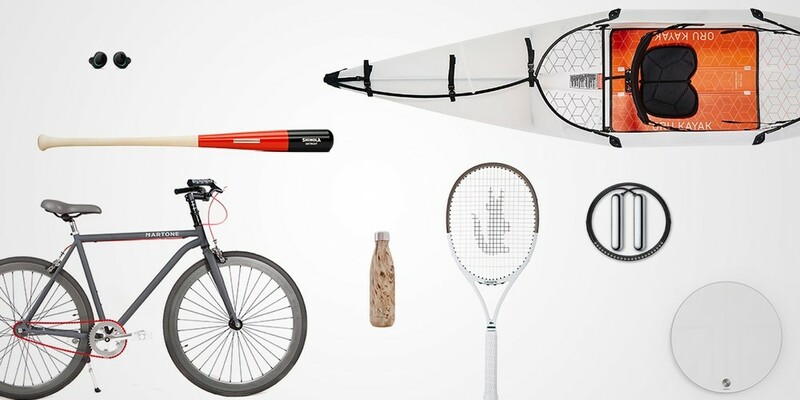 From the latest in high-tech fitness devices to the most innovative new sporting goods, here's our rundown of the twelve spring must-haves that will keep your endorphins flowing in great style.